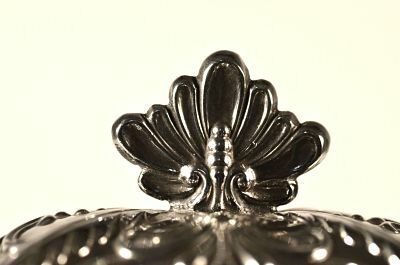 of rectangular form with convex upper body and repousse overhanging foliage to each corner with shell and foliage decorating the main body and incorporating a gadroon base. 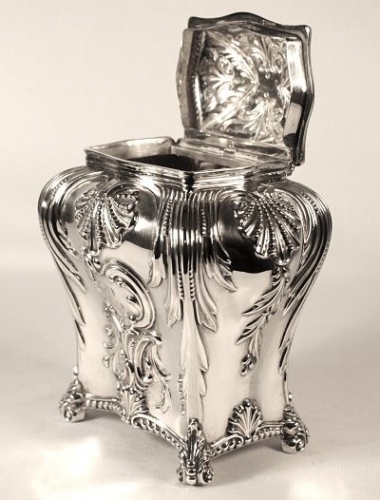 The hinged lid is of similar design with wavy gadroon border and a fixed leaf finial, all sat on four scroll pedestal feet with leaf junctions. 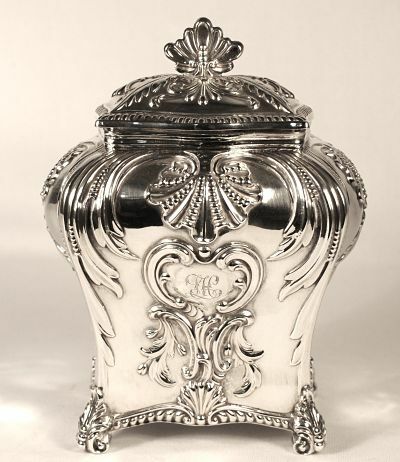 The lid displays the same hallmarks as the base. There is a cartouche on each side, one engraved '1910'and the other 'TH'.